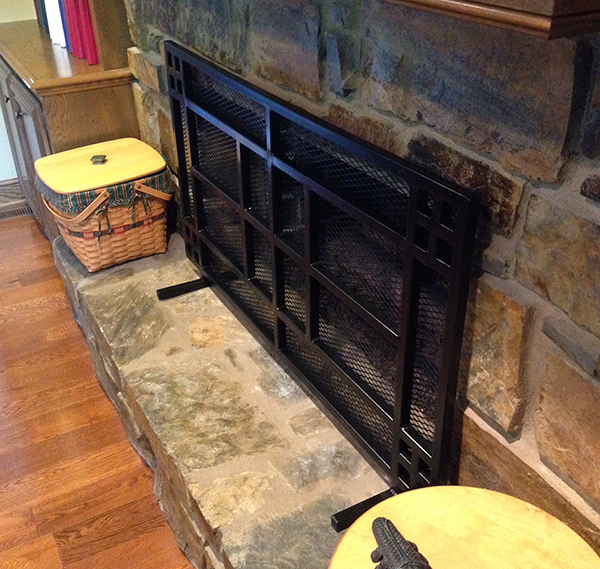 This handsome, Mission-style fireplace screen is in place. 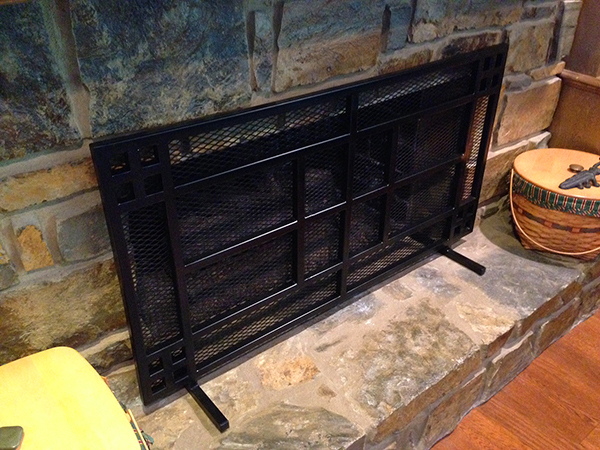 The screen is made of steel and painted with a satin black finish. Sturdy, wide feet keep the screen grounded. But it is light enough to move easily for access to the fireplace.